Winfried Kretschmann: "We must cut pollution, we must fight climate change -- for which we need clean diesel." 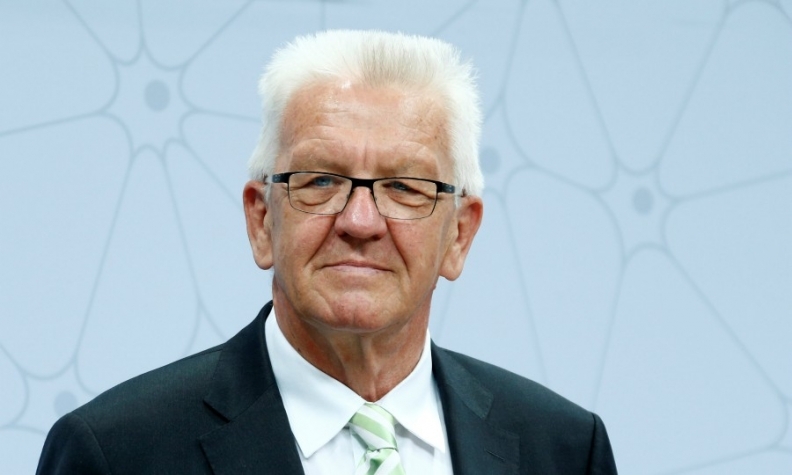 FRANKFURT -- Winfried Kretschmann, the Green party premier in the German state of Baden-Wuerttemberg, has defended the diesel technology at the center of a crisis in the country's car industry, saying it was a necessary interim solution on the way to electric cars. Kretschmann told Germany's Sueddeutsche Zeitung that diesel was a clean technology that helped reduce the carbon dioxide emissions blamed for global warming. He said the German car industry's future must be secured. His remarks were published on Saturday, as Chancellor Angela Merkel launched a stinging attack on German auto executives, pressing them to innovate to secure jobs and win back trust. Germany's car industry was thrown into turmoil almost two years ago, when Volkswagen Group admitted it cheated U.S. tests used to measure the toxic nitrogen oxides its diesel cars emitted, leading to record fines and investigations of other carmakers. Earlier this month, German politicians and car bosses agreed to overhaul the engine software of 5.3 million diesel cars to cut pollution and try to repair the industry's reputation, as cities threaten to impose diesel driving bans. "Actually, we Greens are supposed to be fighting climate change, but now pollutants are the major theme. That really sets me thinking," Kretschmann told Sueddeutsche Zeitung. Kretschmann's Baden-Wuerttemberg state is home to Mercedes-Benz maker Daimler as well as Porsche and supplier Robert Bosch. The German car industry as a whole is the country's biggest exporter and provides about 800,000 jobs. "We must cut pollution, we must fight climate change -- for which we need clean diesel ... and we must secure the car industry in Germany, especially in Baden-Wuertemberg," Kretschmann said.